In response to overwhelmingly negative feedback, Blizzard has changed its plans to display users' real names on its forums. A quick recap: Earlier this week, Blizzard announced plans to expand its in-game RealID system - which allows users to friend each other via their real life identities and keep in touch no matter what server, faction, or game they're playing - to its forums come the release of StarCraft II and WoW: Cataclysm. If you wanted to post, you'd have to post with your real-life name. The community went up in flames in possibly the most overwhelmingly negative reaction I'd seen in six years of WoW (and I've seen a lot of negative reactions, believe me). Blizzard said that it was "definitely listening" to the community feedback on the issue, though many doubted that the developer would change its mind. Well, guess what: Blizzard changed its mind. 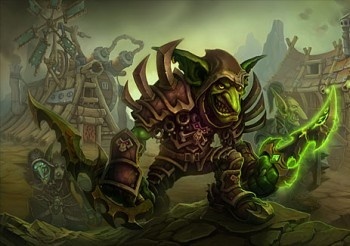 According to a message written by Blizzard CEO and cofounder Mike Morhaime (posted by Blizzard community manager Nethaera) in a post on the World of Warcraft forums, all plans to incorporate RealID into the forums are hereby off the table: "We've been constantly monitoring the feedback you've given us, as well as internally discussing your concerns about the use of real names on our forums. As a result of those discussions, we've decided at this time that real names will not be required for posting on official Blizzard forums." Though Morhaime said that Blizzard believed that RealID was a "powerful" communications tool that real-life friends could use to keep in touch no matter what, it would remain entirely optional. "We believe that the powerful communications functionality enabled by Real ID, such as cross-game and cross-realm chat, make Battle.net a great place for players to stay connected to real-life friends and family while playing Blizzard games. And of course, you'll still be able to keep your relationships at the anonymous, character level if you so choose when you communicate with other players in game." So this means that StarCraft II players will just be posting with their StarCraft II character name, and WoW players will continue posting on their characters and level 1 trolling alts as per usual. In the end, I'm glad to see that Blizzard was in fact listening to the community's feedback on this, though I'm also glad that RealID is sticking around in its current form - it really is great talking to friends in-game who play on completely different servers. So the people who like RealID get to keep it in game, and the people who don't like RealID get to keep their anonymous forums. Everybody wins! Everybody, that is, except for certain people who have spent all morning writing a column that is now completely invalidated.